Gather around our family table for a delicious Punjabi feast cooked by James Chand, one of our passionate teachers and chefs. 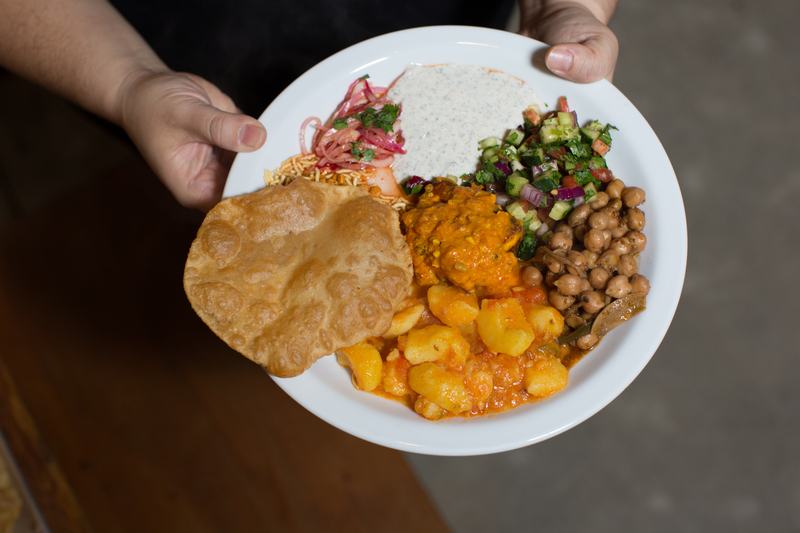 This particular menu features an array of dishes inspired by dhabas, the Indian equivalent of America's 24-hour diner. These roadside restaurants serve authentic, wholesome, satisfying Punjabi food around the clock and are an integral part of culture and cuisine. Wine and beer will be sold at an additional cost ($6 and $3 respectively). You are also welcome to BYOB (wine and beer only). From the time Chef James Chand was a very young child, he has had a deep love of food—specifically the flavors of Indian Fiji. His family, who were from the Fiji Islands, were all excellent cooks and kept him nearby in the kitchen from a very young age. By the time he could hold a spoon, he was helping cook for family events. One day, on a whim, a friend asked James to cater a birthday party. James obliged, and the food he cooked—all traditional Fijian-Indian dishes—was a huge hit. Soon, more friends (and friends of friends) began asking James to cater their affairs, and it became clear to James that he had found his true calling. He left his job in corporate sales, and set about founding a catering company.